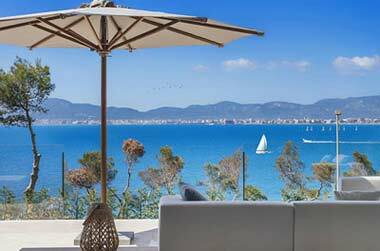 When it comes to villas for sale in Calvia, this pretty Mallorcan village is often on top of the list for people looking for villas for sale in Majorca and the popularCalvia area in particular. Whether you're looking for asimple family villa in the residential centre of Calvia town,a cool, contemporary villa overlooking the lovely Majorcan countryside, or a luxurious villa-style property with amazing views over the Mediterranean, we at Balearicproperties.com/en would be delighted to help you find your dreamvilla for sale in Calvia. Calvia is both a sizable municipality and a lovely little town which acts as the administration centre for the region. It is situated just a few miles inland from the coast. 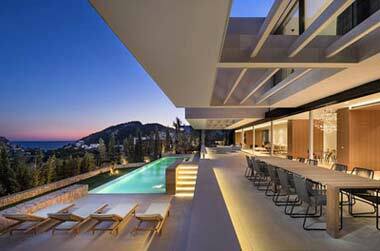 The municipality of Calvia is one of the most sought after places in the whole of Mallorca to own a villa-like property, mainly due to the gorgeous resorts that lie along the coast. 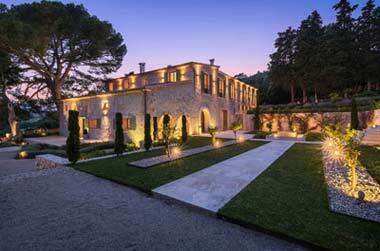 The town of Calvia is equally popular, due to its tranquil setting and proximity to Palma. The heart of Calvia town is the splendid church of Sant Joan Baptista. Originally dating back to the thirteenth century, the current edifice was constructed back in the nineteenth century. There is a fabulous traditional restaurant in Calvia town, Meson Ca’n Torrat, serving tasty Mallorcan food. The pretty outdoor terrace offers spectacular views over the valley. Another good place to be in Calvia town is Bar Rosita's (662 204 859). Located in the heart of the village, they offer good home-cooked food and live entertainment. The municipality of Calvia has some fine hotels. Perhaps the most interesting and unusual being the Hotel Bon Sol in Illetas. Family-owned, the hotel's terraces tumble down the cliffs to a delightful private beach. The Bon Sol's interior is rather stately too, being full of exotic far eastern antiques. In the town of Calvia you’ll also find the Club Natacion Calvia where you can partake in a variety of swimming-based watersports. Golf lovers are extremely well catered for in the municipality of Calvia. There are several superb golf courses, Real Golf de Bendinat being amongst the best. This par-70, 18-hole course nestles in a beautiful wooded valley overlooking the sea. The 18-hole par-72 Golf Santa Ponsa overlooking the picturesque Puig Galatzo mountain is another great place to enjoy a game of golf. You'll find an attractive 4-star hotel right in the middle of the course too. Fortunately, Calvia is blessed with a superb climate. The average temperature of 30ºC in summer and 14ºC in winter attracting people far and wide. Being just 20 minutes away from Palma and its International Airport by motorway and major road, it’s easy to see why Calvia is such a highly popular place to look for a villa for sale in Mallorca.